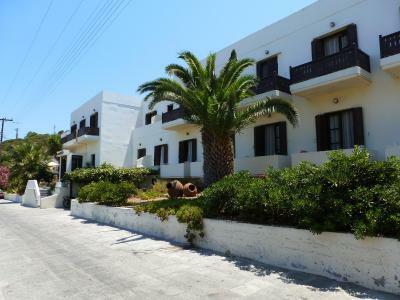 Lock in a great price for Porfyris Hotel – rated 9 by recent guests! This hotel is in the best location, right in the middle of everything without being in the loud center. Our room faced the North and with the shutters closed, we didn't hear any street noise, we were pleasantly surprised. The views are gorgeous, it's very clean and the outdoor seating is very charming. The staff is the best part of this place, hands down the most helpful people during my trip to Nisyros. Family-run and friendly, it made my stay fantastic. It was so great, I extended my stay. Highly recommended! 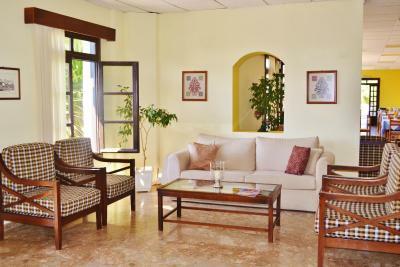 The hotel facilities are modern, clean & in good working order. 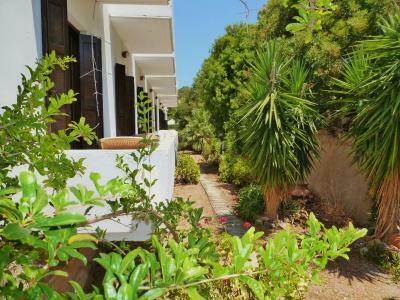 Location is great, above the town of Mandraki with views of the ocean. 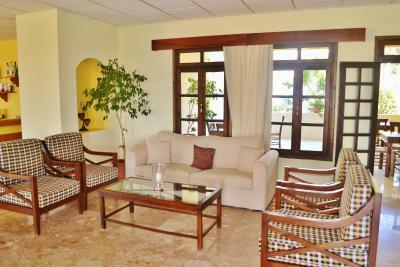 Pool area is very well kept & has good outdoor furniture making it a great place to relax. 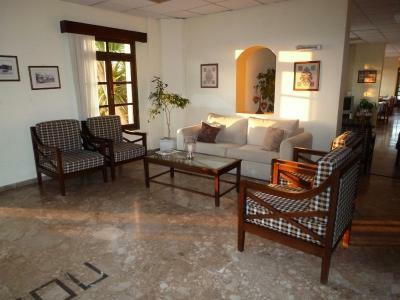 Maria & Takis are excellent hosts & the staff is very friendly & efficient. The food at breakfast is more than ample & includes juices, eggs cold cuts, cheeses bread, cakes, cereals, yogurt, fruits etc. &, my favorite, excellent honey. We liked the warm & welcoming owner/ staff. The island is very small with not a whole lot of luxury to offer and this hotel was excellent. The breakfast was good with a very nice variety of breakfast food. The public areas are very spacious and pool / garden has plenty of seating......it was a very pleasant stay and we highly recommend. The staff was very friendly and breakfast was delicious. 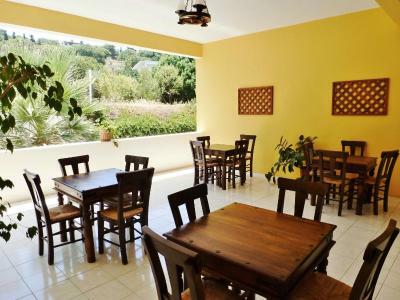 Good value hotel located a few mins walk from sea and Mandraki restaurants/shops. Excellent unlimited breakfast buffet (included). Partial view of sea/islands over rooftops from ground floor room. Asked about clothes drying facilities and was given an airer to hang from balcony. Lovely quiet hotel in the heart of Mandraki. 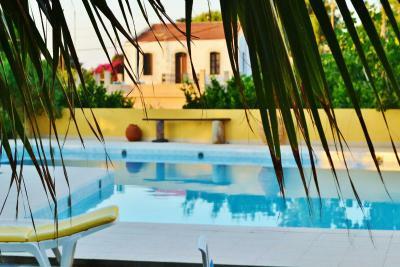 The staff were very kind to me, the room was simple but comfortable, and the pool was incredibly relaxing. Wish I could have stayed longer. A great hotel . I walked to it from.the ferry with a rucsack. I wish I was back there and on that fabulous island . I could say the breakfast was sparse (Not cooked English ) but it was ok. Def would stay again . 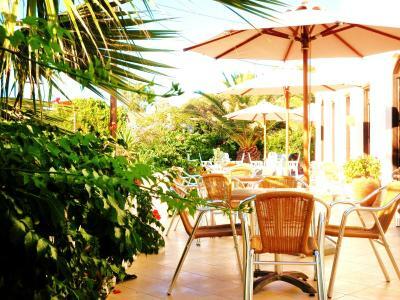 Very nice hotel in a very quiet and relaxing island location. Nice view from the terrace. Owners were incredibly accommodating as we had to change our plans repeatedly because of ferry schedule disruptions and ultimately did not charge us for a second night that we had to cancel only a day in advance. 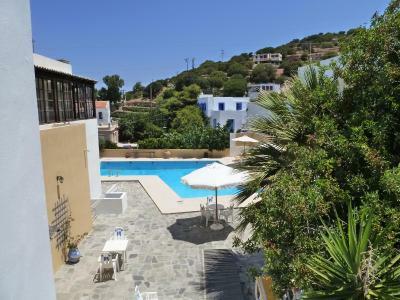 Porfyris Hotel This rating is a reflection of how the property compares to the industry standard when it comes to price, facilities and services available. It's based on a self-evaluation by the property. Use this rating to help choose your stay! 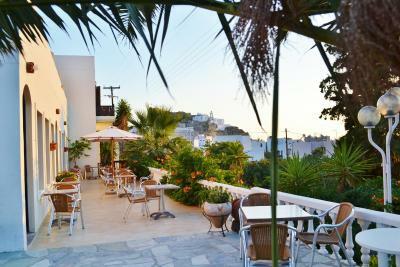 Located 650 feet from Mandraki Beach, in Nisyros town, Porfyris Hotel offers a swimming pool and breakfast. 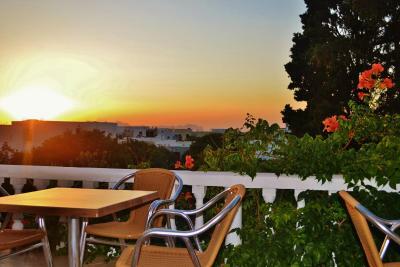 Its air-conditioned rooms have a furnished balcony overlooking Mount Diavatis and the Aegean Sea. All rooms include a fridge and TV. 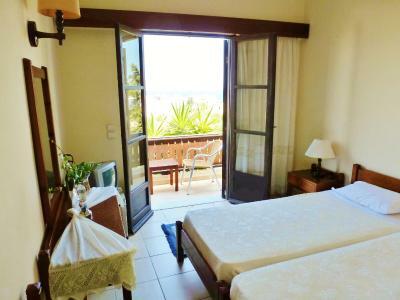 Each unit at Hotel Porfyris is equipped with a private bathroom with shower. Breakfast with local products is served daily in the dining area. 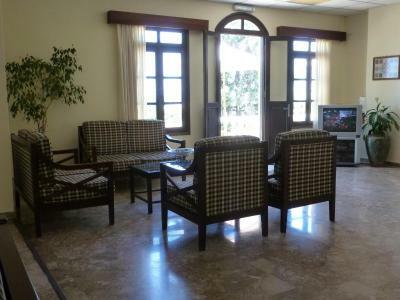 On the ground floor there is a TV lounge and a bar that serves drinks and coffee. 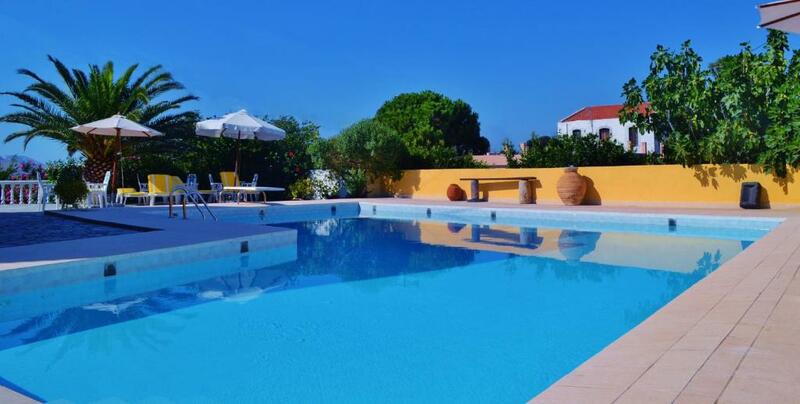 The swimming pool area has free sun loungers where guests can relax. 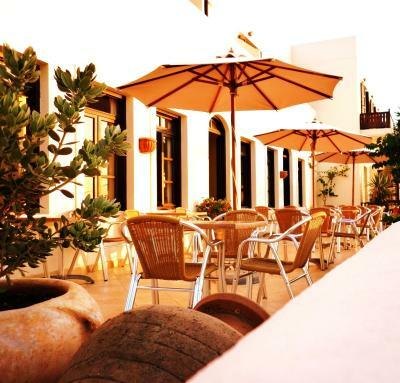 The scenic central square is within a 5-minute walk and has taverns and traditional coffee shops. 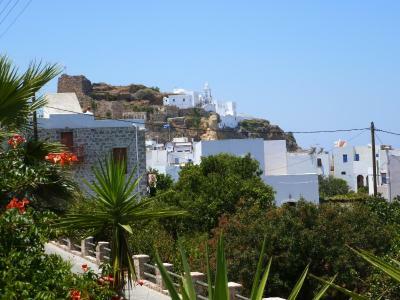 The famous volcano of Nisyros is at 5.6 mi. When would you like to stay at Porfyris Hotel? Air-conditioned room with balcony. It has tiled floors and includes a TV and a fridge. House Rules Porfyris Hotel takes special requests – add in the next step! Porfyris Hotel accepts these cards and reserves the right to temporarily hold an amount prior to arrival. Kindly note that the pool cleaning and maintenance is based on salt electrolysis. Nothing really springs to mind as I was out in the island so much. Breakfast very basic continental. I am gluten & dairy free so this was difficult for me. Only ever watermelon fruit so I bought my own fruit in the end. Not a huge problem though as very reasonably priced hotel. Great coffee! Friendly hotel. Our balcony was peaceful with the sun all day. Fresh linen/ towels every day & cleaning very good. I wish the breakfast had more options and there was more coffee, overall very good. We were met at the port by the owner in his car to take us to the hotel. The room was of a good standard and breakfast was included, which was typical Greek breakfast, cheese, meats, bread, fruit, yoghurt and tea, coffee and juice. The pool area was superb, very clean and plenty of beds and seating around the pool. At the end of our stay we were again taken to the port by car. 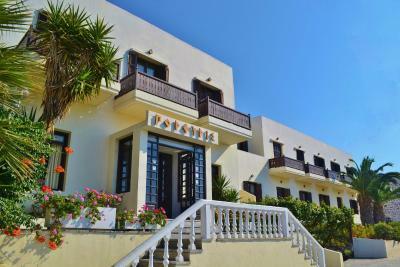 Very pleasant stay at Hotel Porfyris. Centrally located which meant all of Mandraki was within easy reach. Hotel kindly met us at Port on arrival and assisted again on the return. Good breakfast and the swimming pool is a bonus. 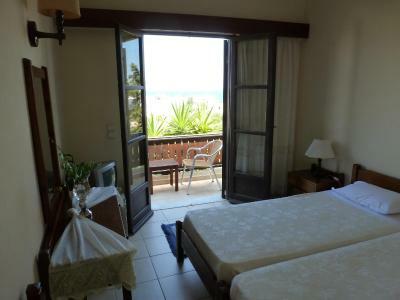 Rooms at the front have sea views and perfect for sunsets - though they are quite small. Recommended. I would pay € 20 for this room. However, because of unavailability, booking com made it astronomic price € 57 It worths only € 20.- Hotel was in the middle of the narrow streets. You heard the sounds of children playing. Booking did not tell downstairs or upstairs. in first 2 days, we stayed downstairs. No shower cream. Beds are very bad. No kitchenette. Last 3rd days we changed our room to upstairs. It was airy. Bed was a little good , better than downstairs. 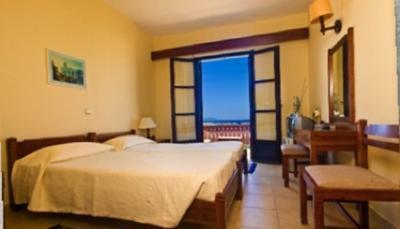 Beautiful place , well located, comfortable room with on the sea and the monastery and the staff is very kind and helpful. We enjoy our stay a lot.